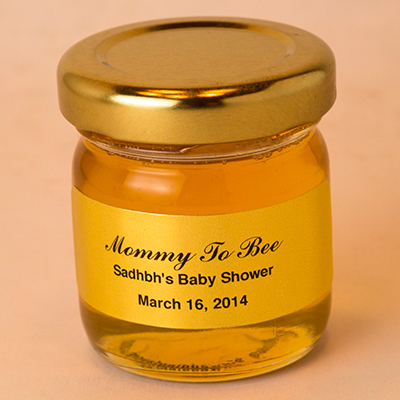 If you’re planning a simple and colorful Baby Shower, our Mini Honey Jar Baby Shower Favor is perfect for you. 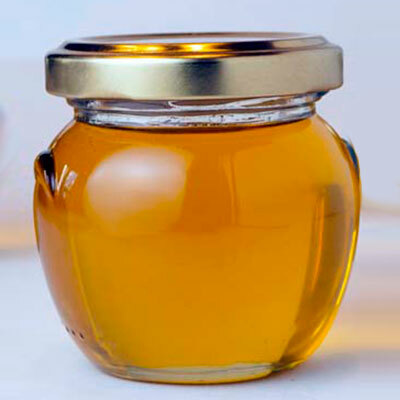 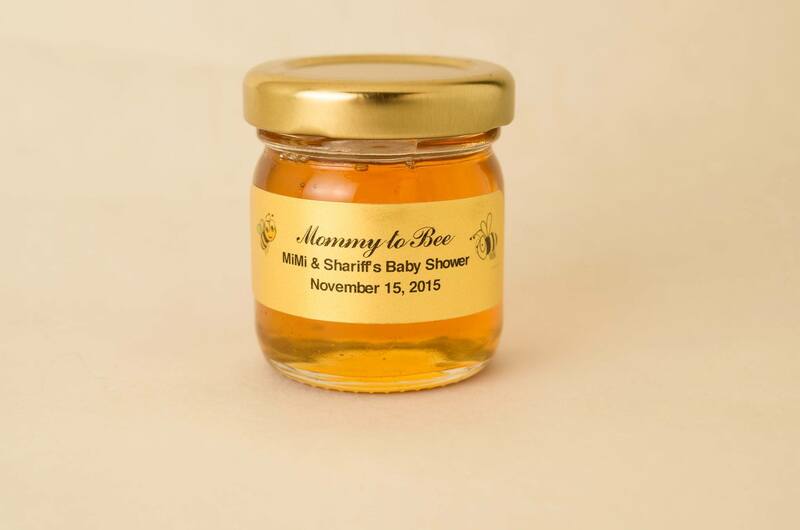 The jar features a round design, gold lid, and our 100% natural, delicious Spring Wildflower Honey for golden goodness, ideal for any baby shower party theme! 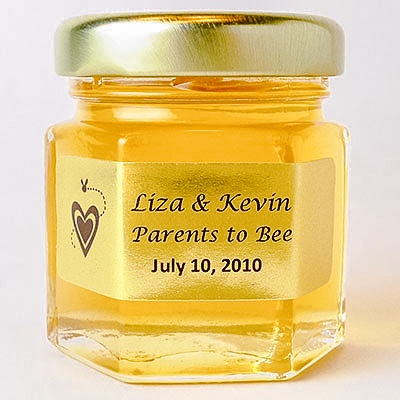 Imagine your guests’ delight when they discover these Mini Honey Jar Baby Shower Favors awaiting them at their tables, or displayed on a ‘take one’ table. 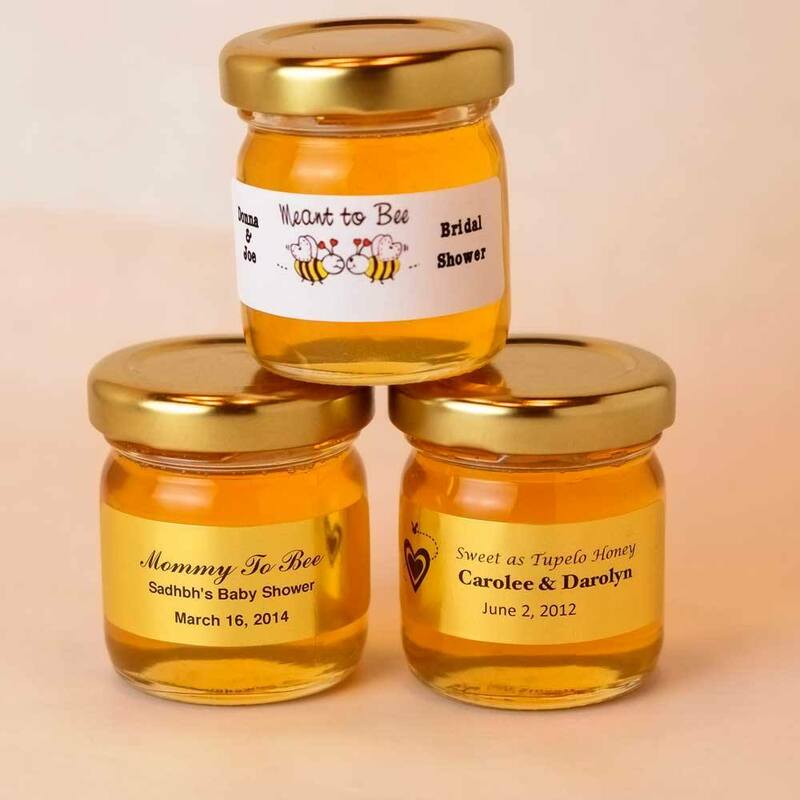 Guests who have attended many baby showers know the ‘usual’ favor choices and smile brightly when they’re treated to a natural gourmet Honey baby shower favor, especially one so delicious! 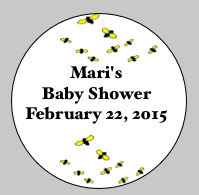 They’ll be talking about your honey favors, and your baby shower, for years to come!